Growing up in the 90s and early 2000s, trying to find an identity wasn’t exactly the easiest. You do a lot of shapeshifting until you find something that fits. Or rather, you find others representing that identity that accepts you into their world. I grew up with a lot of kids who skateboarded or biked and eventually I got my first skateboard – something cheap from the local Walmart that got the job done but couldn’t compare to the latest decks and trucks from companies like Birdhouse and Blind. We’d set up flimsy ramps in driveways and head down to the nearby convenience store to show off the moves we could barely nail. It was one of the best times of my life. It’s clear that Jonah Hill has experienced that same subset of culture. 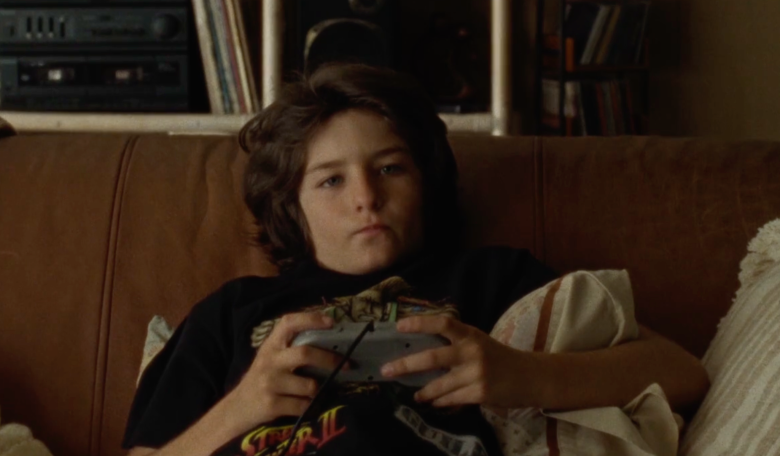 His directorial debut, Mid90s, fully encapsulates a very specific time and place that expels nostalgia about as much as it does heart. 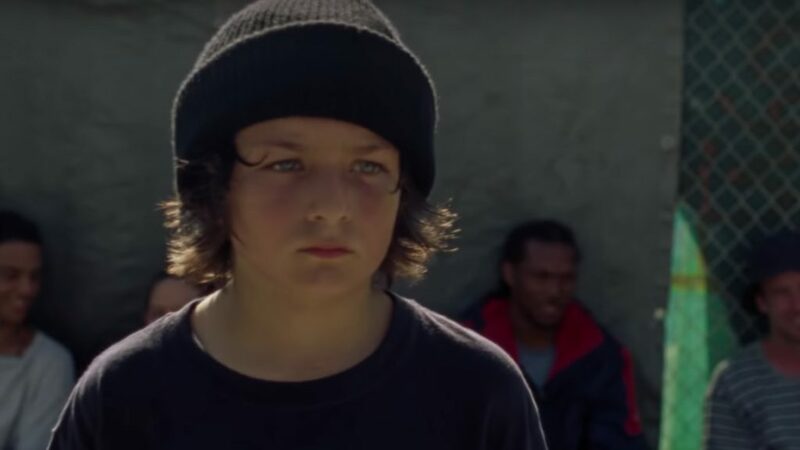 Centered around 13-year-old Stevie (played by Sunny Suljic, who recently did the voicework for Atreus in God of War), the film takes place during the summer in Los Angeles as he discovers a group of skaters that he immediately befriends and starts hanging out with every day. Of course, they become a huge influence on him and that influence is felt back home when his older brother Ian (Lucas Hedges) picks on him and his single mother, Dabney (Katherine Waterston), struggles to control the two while providing them with a good life. There is something to be said about movies that tread in nostalgia as much as Mid90s does. It’s opening credits are mixed with shots of Stevie running around in his brother’s room while staring at posters of popular rappers and other musical acts spread across the wall, and listening to his brother’s CD of GZA’s Liquid Swords – all the while wearing a Street Fighter II shirt that’s just a size or two too big. It’s clear Stevie looks up to Ian, but his brother’s tough love-attitude pushes him closer to a group of kids and for better or worse, the friendships he makes with those kids will leave a lasting impact on him. It’s that element that alleviates the constant wave of nostalgia that Hill brings forth. Surprisingly though, it’s not as unrelenting as the 16mm cinematography would have you fear. While the film bears the same aesthetic as a skate video – even carrying one of the best licensed soundtracks I’ve heard in a movie this year – its more to bring a warmth to the camaraderie between Stevie and his new friends. The best way to describe Mid90s is to imagine Richard Linklater directing The Florida Project. Given that the majority of the young actors here are primarily skaters (including a few cameos from well-known skateboard icons) it becomes clear that the acting wasn’t a priority for Jonah Hill. Thankfully, they do a great job and help put audiences into the headspace of a young skater living in LA. There really isn’t much in regards to plot to be found here. Stevie’s friends – Ray (Na-kel Smith), Fuckshit (Olan Prenatt), Ruben (Gio Galicia) and Fourth Grade (Ryder McLaughlin) – spend the majority of the film insulting each other while Stevie latches onto the way they carry themselves around. In other words, Mid90s is not a movie that is propelled forward by any narrative beats necessarily, but rather the day-to-day evolution of Stevie throughout a summer. It’s a film about the influence the people you surround yourself with can have on you, which is where the aforementioned, The Florida Project-influence is strongly felt. Jonah Hill employs the same lens of innocence to these kids as Sean Baker did with Moonee and her friends. Mid90s is a funny movie with its fair share of darker moments that embodies a very specific subculture at a very specific time. It filled this critic with a warmth that I haven’t really felt in a while, and regardless of its singular time and place, it’s a movie that many viewers will relate to. Hill has assembled something that feels extremely personal to himself and that voice echoes throughout the entirety of the film.